Hi friends! 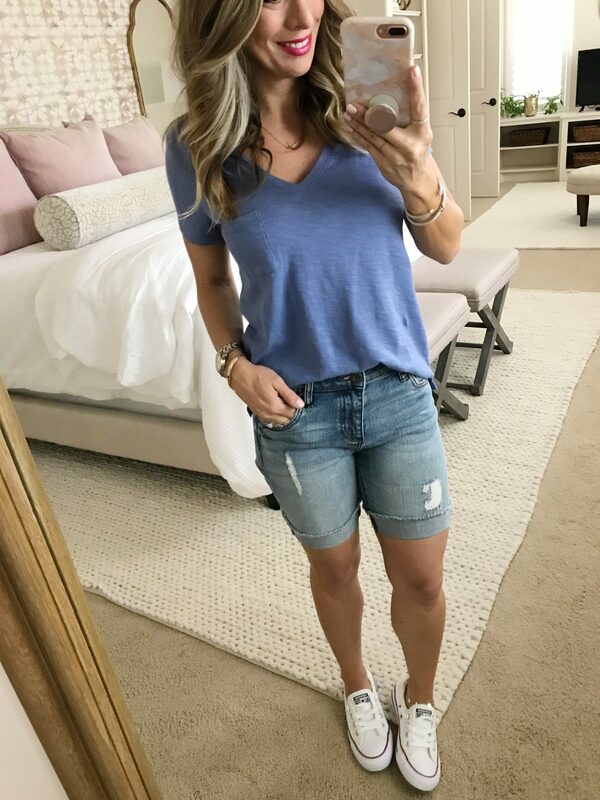 I’m super pumped about today’s blog post because it’s all about JEAN SHORTS! 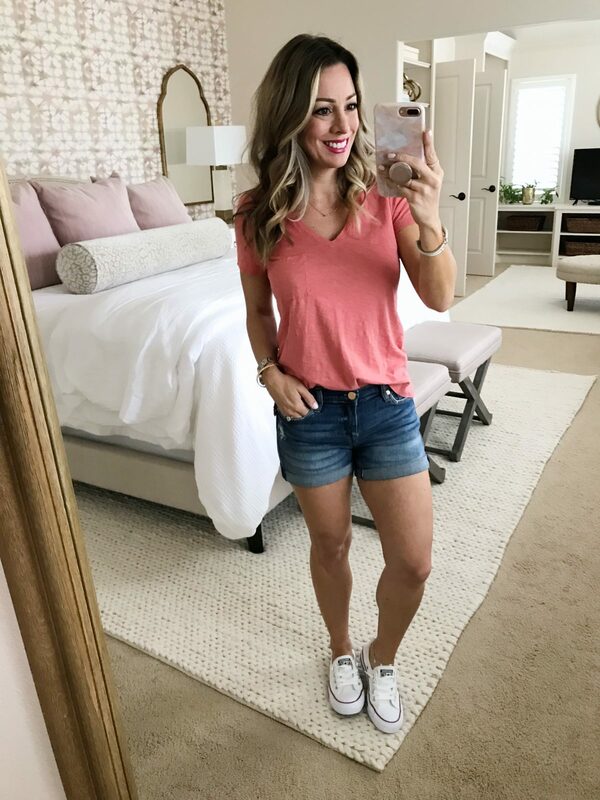 You might be wondering why the topic of jean shorts gets me so excited- well, it’s because jean shorts are what I actually wear most often in my everyday life. 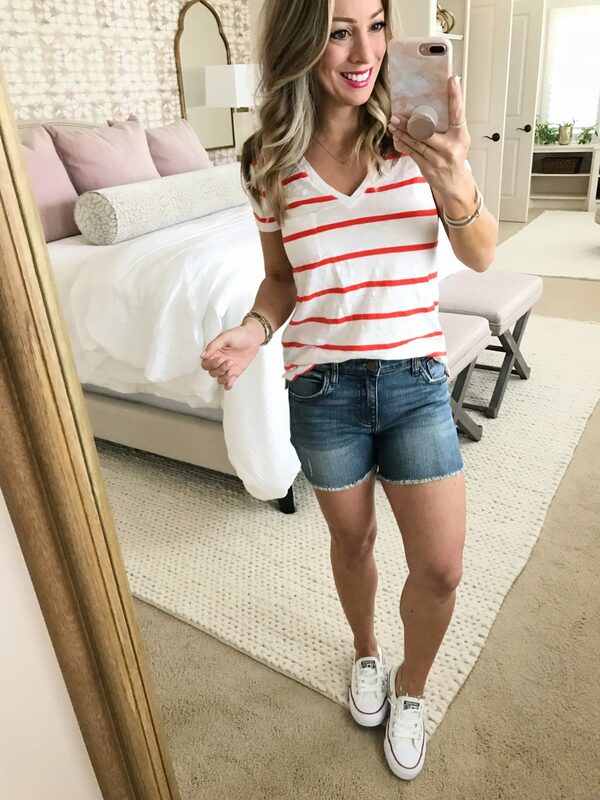 I’m a work from home mom and Houston is hot and humid from now until November, so jean shorts are the easiest thing to throw on! 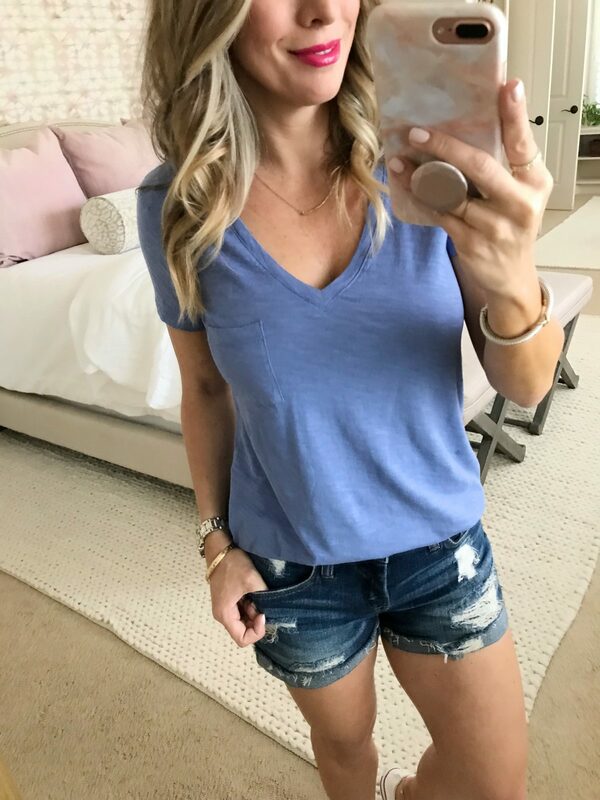 Even on days when I pull myself together and wear something cute to step out of the house in, lots of times when I return, I throw on my favorite jean shorts. But, those favorite jean shorts are getting a run for their money today because I have 5 competing pairs- all equally as good, but each one different from the next. 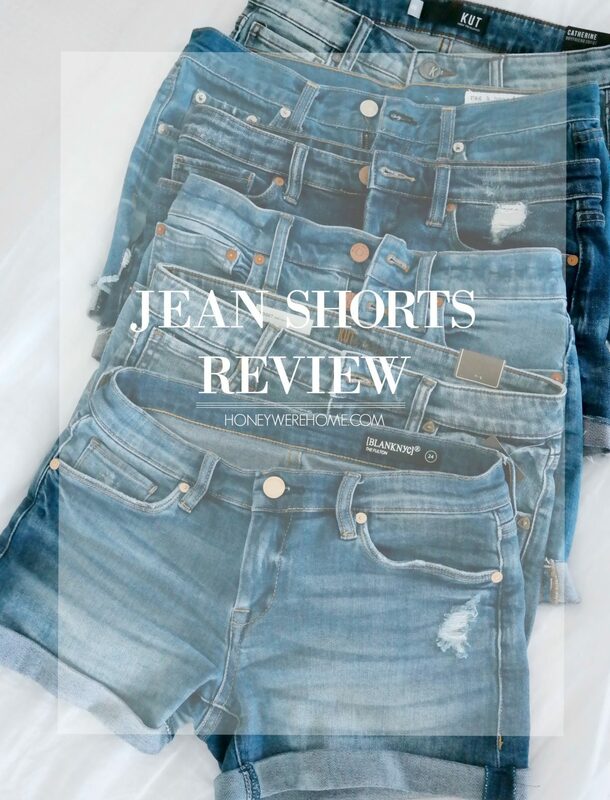 So here are the best jeans shorts for summer! 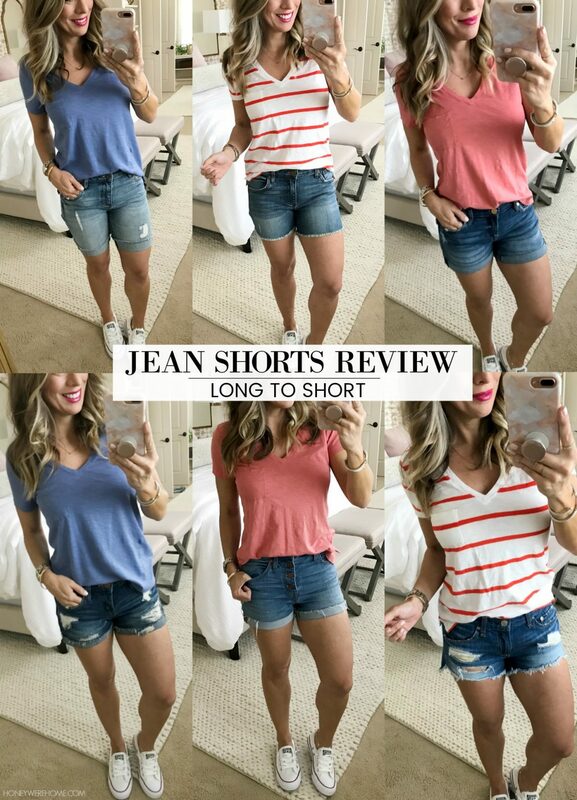 I’m reviewing these jean shorts in order of longest to shortest because I know lots of women prefer their shorts on the longer side. I’m only 5’1 with short legs and a longer torso, so I like my shorts on the short side. For fit reference, I’m 5’1, about 110 right now. I’m normally a 0P/24 or 25 in jeans, depending on the brand. For those of you who prefer a longer jean short, but still want to be cute and casual, these are for you. They have plenty of stretch, a nice faded shade of denim with slight distressing. If I liked long jean shorts, I’d keep this pair. FIT: TTS, wearing 00- they come in petite, but I didn’t feel like I needed petite in these. I felt like the leg holes on these shorts were a little snug on me, but I have bigger thighs for a petite person. 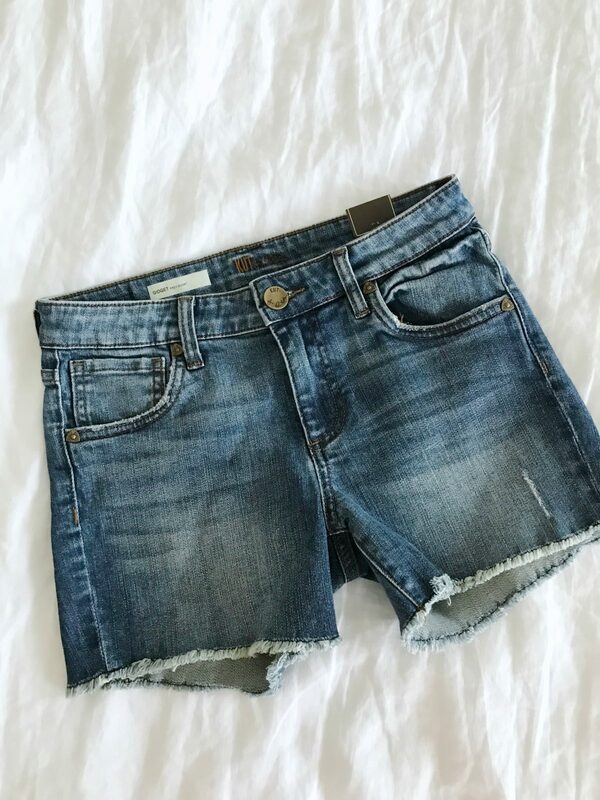 While still on the longer side, this 4″ pair of jean shorts is a great length for family outings or anywhere you might want to err on the conservative side. But, they’re not so long that you feel matronly. The cutoff is stitched so it won’t run and there’s only the slightest big of distressing. 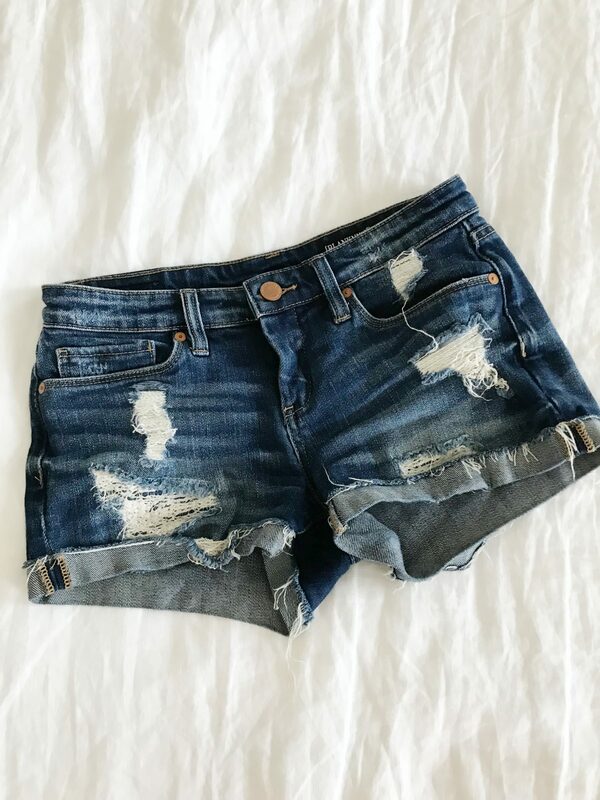 This boyfriend pair of jean shorts I like to call girlfriend because they aren’t shapeless like most boyfriend styles. 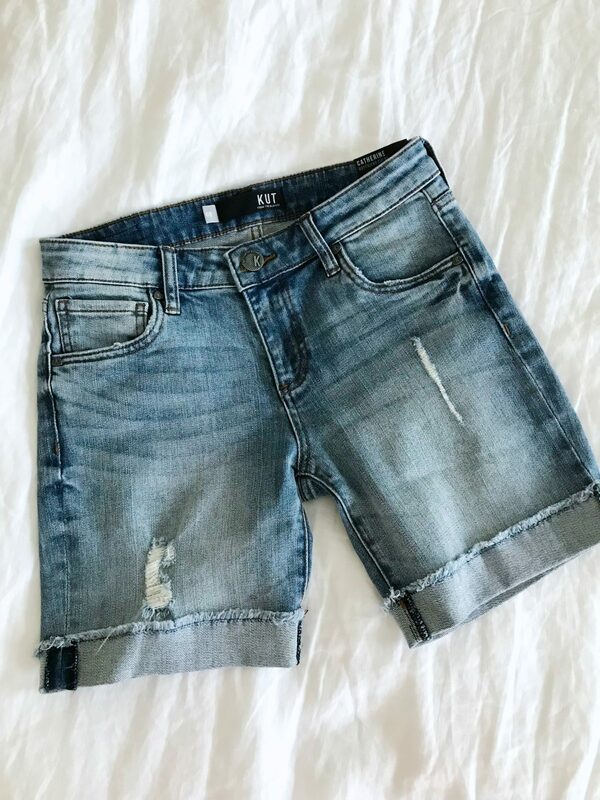 These have been my favorite everyday jean short for the past two years with a comfortable fit, lots of distressing, and have held up perfectly after many, many washings. Brand new, they have the look and feel of lived in jean shorts, but they’re less stretchy than the pair above. If you’ve become fond of the high rise trend, you’ll like these! Not only is the rise higher to tuck you in, the button-fly front is so cool. I’ve had these a couple years and still really like them. The wash is on the lighter side and there’s really no distressing to them. This pair of jean shorts has that old Nair commercial song running through my mind- do you remember it?! “We wear short shorts, if you dare ware short shorts, Nair for short shorts!” I apologize in advance if that song is now stuck in your head for the rest of the day! 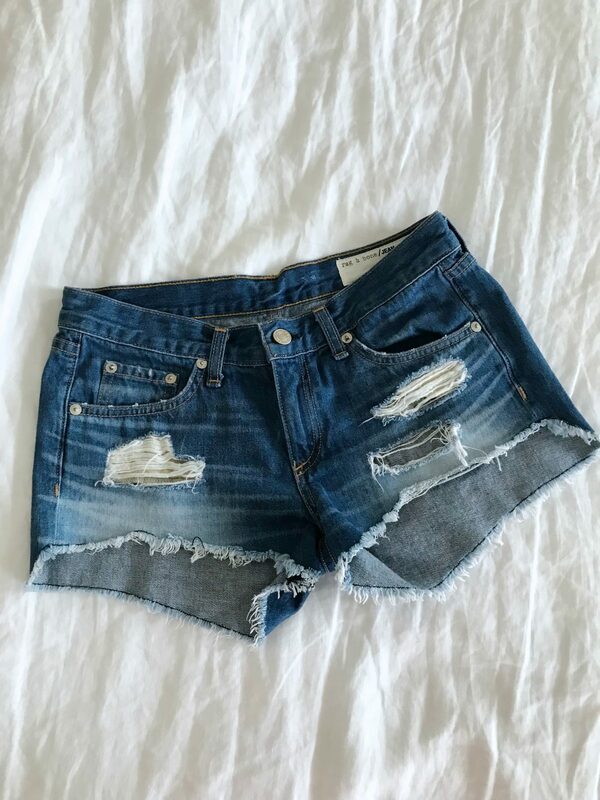 This is the perfect short summer jean shorts with a mix of rips, raw edge hem and slightly higher cut sides. I like wearing these to the pool or beach over my swimsuit too. 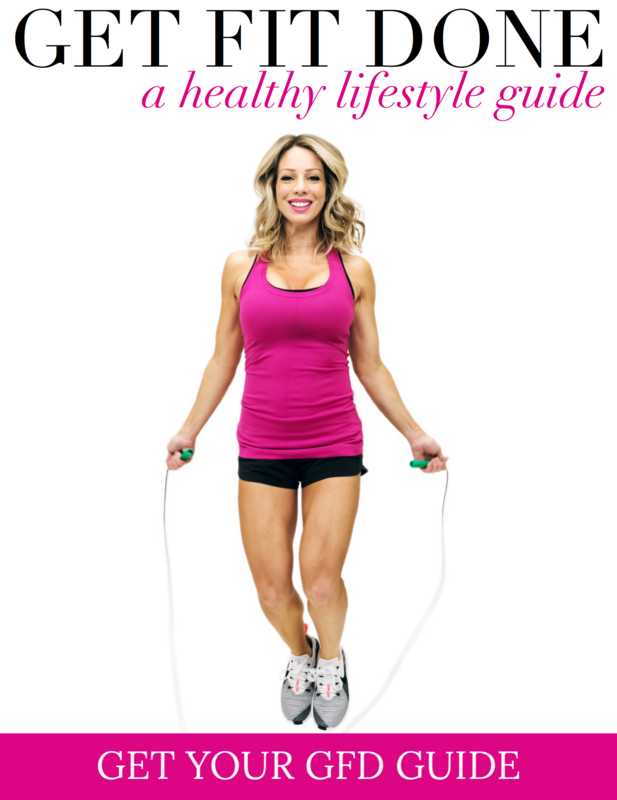 I included 5 reviews from women 5’2 – 5’7 so you could hear their opinion on fit. 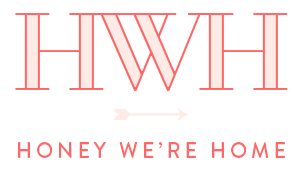 Some posts I’m extra fond of and this is one of them! 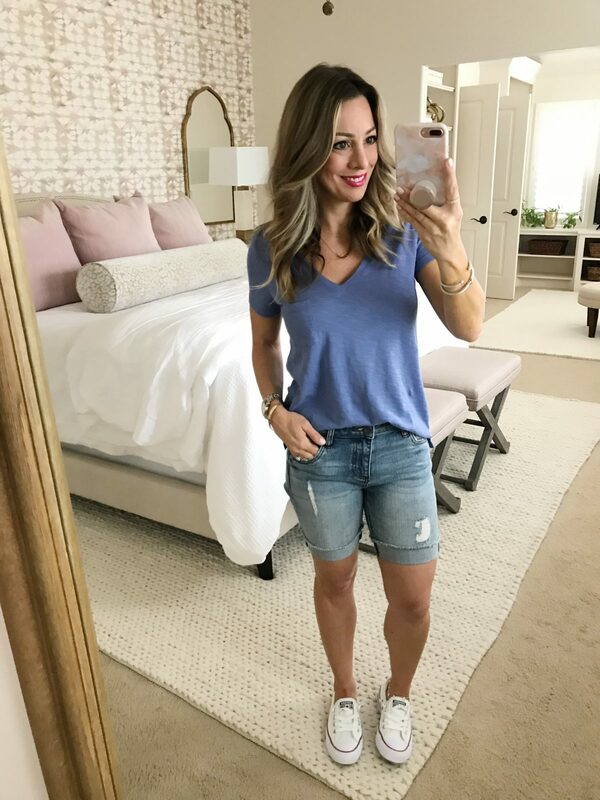 Please let me know if you liked this post on the best jean shorts for summer too! And which shorts are your fave? Do you have another pair you recommend? P.S. 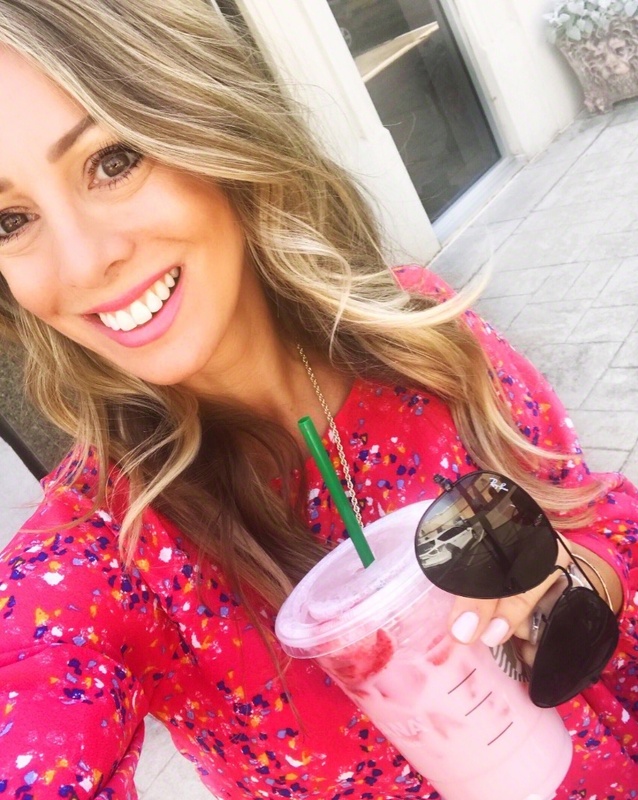 Cute summer jumpsuits and the perfect mini dress for summer! I literally love every style you posted! 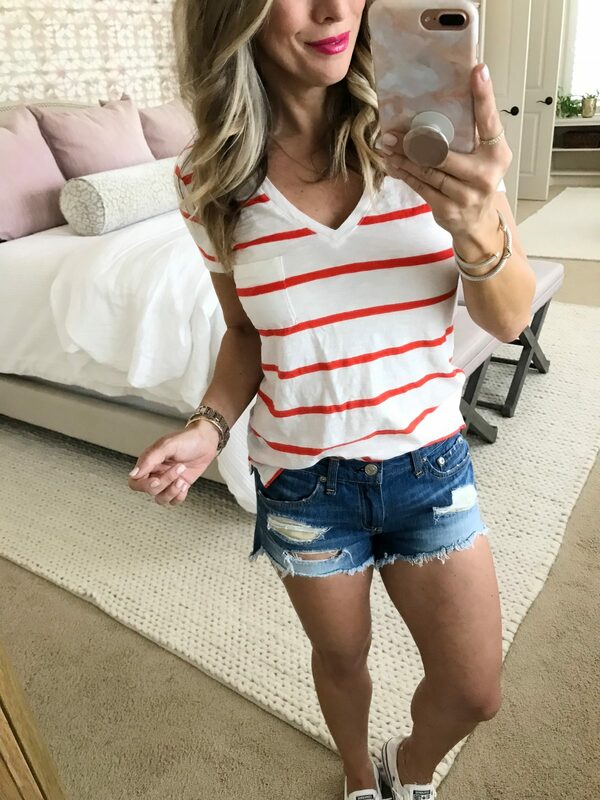 I just adore jean shorts! 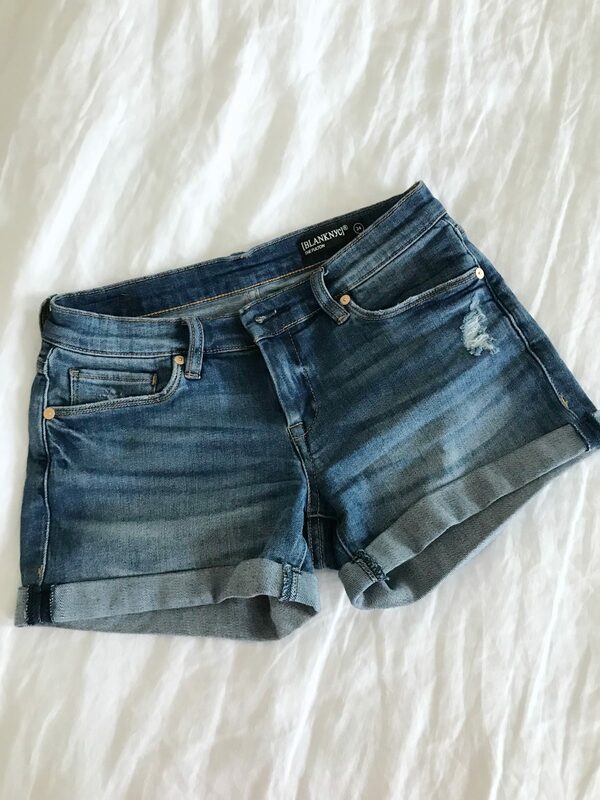 the rag and bone jean shorts! I finally broke down and bought them a few weeks ago and dang it they were worth the high $$$. For me the key was the short length in the front made my 5’4 legs look great but the longer back made me feel covered and age appropriate (40 +). Thanks Megan – love these posts. Which ones would you say you reach for the most? Hi Karen, the comfy cuffed and the distressed girlfriend are my faves! I love this post! 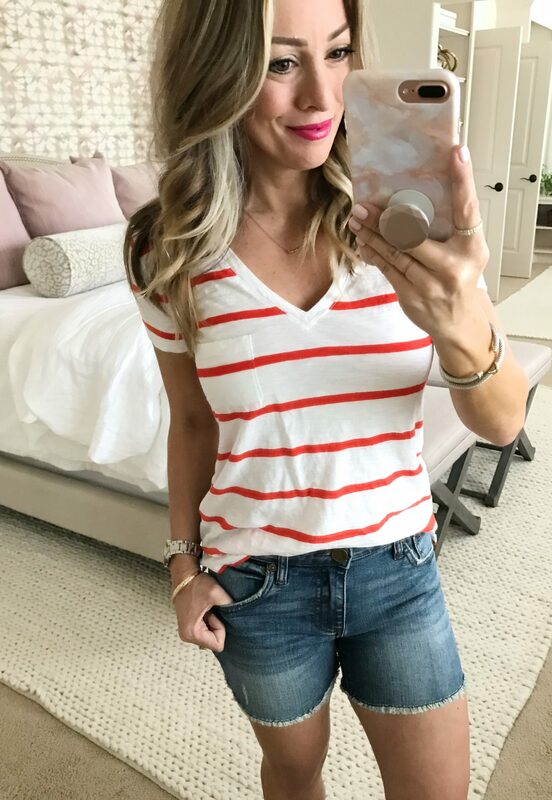 I get so many great recommendations from you for fashion! 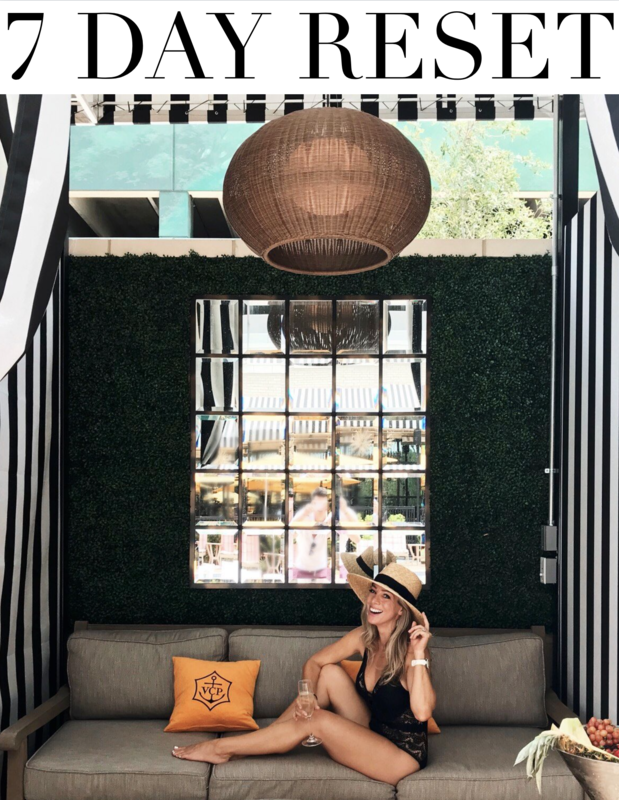 Thanks so much Aria, happy to have you here! Thanks for this post. I love jean shorts! Lovely collection! Denim shorts are one of the most versatile summer staples that belong in everyone’s wardrobe. These shorts looks are so cute and stylish. I want to try them. Thanks for sharing.